National Food Days are the best because they often mean everyone’s favorite thing – free food! Planning for meals in college can be difficult! School life gets super busy and by the time you have a second to eat, cooking just sounds like more work. Meal prep is time-consuming and sometimes it’s not really an option in limited-space dorm rooms. Feeding yourself like that can add up quickly! For hungry college students, National Food Holidays can be a godsend! 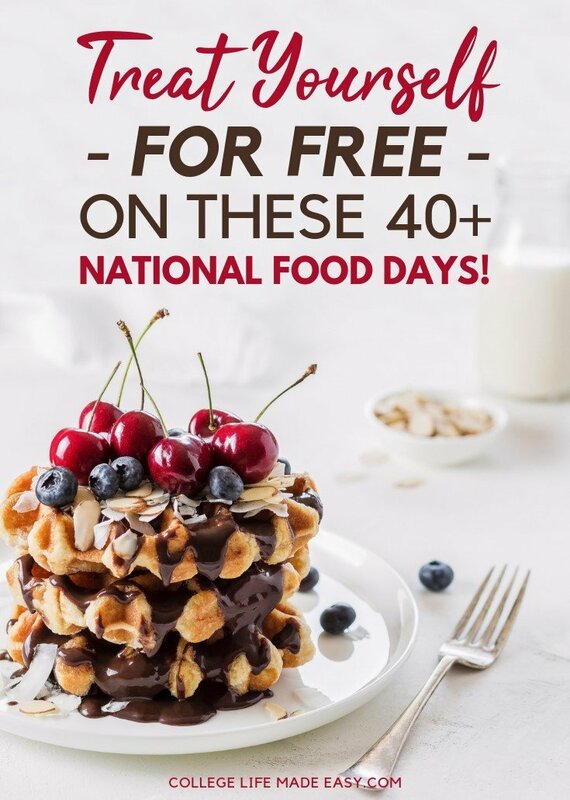 National Food Days are freebie “holidays” that happen on or around the same time each year and offer – yep, you guessed it – free and discounted food. From free breakfast on National Bagel Day and National Donut Day to sweet treats on National Chocolate Chip Day, there are lots of opportunities treat yourself for free this year. To make sure you never miss a chance to fill up, Wikibuy rounded up the most notable freebie days in 2019. They created a printable cheat sheet for reference! Check out their full article to see which restaurants typically participate, and download the freebie calendar at the end of this post for a nice overview of when each one is. The list actually includes more than just National Food Days freebies. You can look forward to scoring free comic books, cost-free entrance to National Parks and other goodies in 2019! National Popcorn Day falls on January 19 every year — a Saturday in 2019. Promotions vary by year; but in 2019, Regal Cinemas is celebrating with half-priced popcorn! National Frozen Yogurt Day is held annually on February 6, a Wednesday in 2019. In the past, yogurt chains including 16 Handles, TCBY and Yogurtland have given away free yogurt to celebrate the day; places including Menchie’s, Pinkberry, Red Mango and Sweet Frog offered discounted deals. Every February 9 is National Bagel Day, when different bagel chains offer free or discounted bagels. 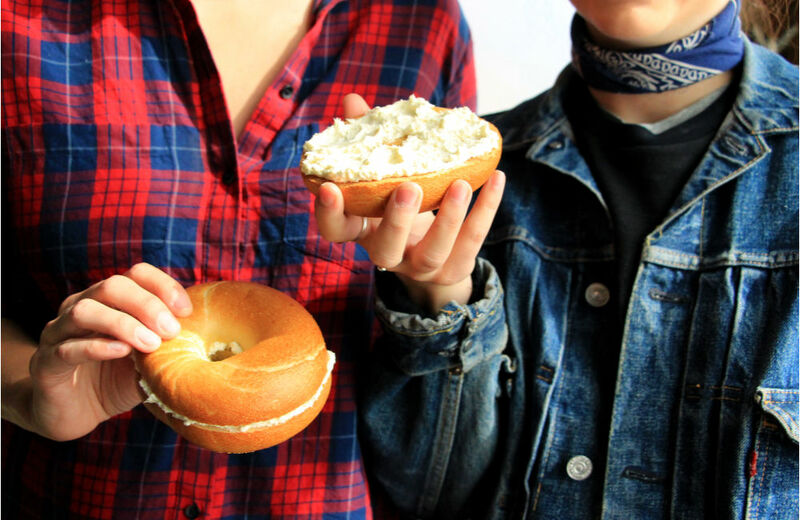 In 2019, Einstein Bros. Bagels will be offering a FREE bagel and shmear with purchase to celebrate the day. Bruegger’s Bagels also typically celebrates the day by giving away free bagels to customers. The National Bagel Association keeps a running list of different chains and their offers. In 2019, February 9 falls on a Saturday. Also on February 9 is National Pizza Day, which features deals from various pizza chains, typically including national chains such as Domino’s, Papa John’s, Pizza Hut and Round Table Pizza. In the past, National Pizza Day deals have included everything from discounted menu items to completely free pizza. Additionally, Baskin Robbins often offers a “dessert pizza” for a sweeter way to celebrate the holiday. National Margarita Day is February 22, which happens to be a Friday in 2019. Restaurants that offered discounts and specials on the holiday’s namesake drink in 2018 included Chili’s, Chuy’s, Margaritaville and Tony Roma’s, among others. Spring Food Freebies + More! National Pancake Day — also known as IHOP’s National Pancake Day — falls in early March each year; in 2019 it falls on Tuesday, March 5. From 7 a.m. to 7 p.m., IHOP offers customers a free short stack of their buttermilk pancakes. Patrons who partake in National Pancake Day are encouraged to make a non-mandatory donation to charity; since 2006, the day has raised nearly $30 million annually. March 14 is “Pi Day,” during which we celebrate “pi,” which is the ratio of a circle’s circumference to its diameter — also known as 3.14. The day is usually celebrated with both sweet treats and pizza pies; in 2018, participating retailers included Bakers Square, Blaze Pizza, Bojangles, Cici’s, Papa Murphy’s, Whole Foods and more. Every year in mid-March, Dairy Queen hosts annual Free Cone Day, where they offer a free small vanilla cone to each customer. Every first day of spring, Rita’s Italian Ice gives free Italian ices to customers. In 2019, the first day of spring falls on Wednesday, March 20. 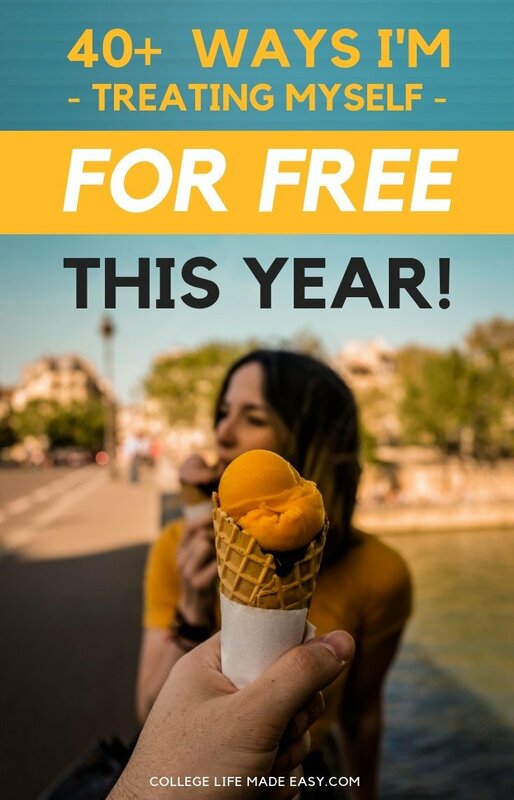 Ben & Jerry’s hosts their free cone day in mid-April each year (the “holiday” was held on April 10 in 2018). Ben & Jerry’s began their Free Cone Day in 1979, the same year the chain was founded, to thank customers for helping the company survive its first year. Today, shops all around the country give out free ice cream in celebration. End your weekend right with National Beer Day, which falls on a Sunday in 2019. Held each year on April 7 to celebrate the Cullen-Harrison Act, which allowed the sale of beer and wine with an ABV lower than 3.2 percent, the holiday features deals from taprooms around the country, as well as national chains. Carvel’s Free Cone Day is held every year in late April — in 2018, it was hosted on April 27. The day includes a free junior soft ice cream cone filled with your choice of select flavors. Carvel also sells $1 coupon books, the sale of which benefits the American Red Cross. For one week in late April, the National Parks Service joins the National Park Foundation to celebrate National Parks Week, which features a variety of special programs, events, and free admissions. National Park Week 2019 runs from Saturday, April 20 to Sunday, April 28. Treat yourself and the earth. Earth Day falls on April 22 each year; for 2019, the day falls on a Monday. While the promotional deals and discounts vary by year, 2018 Earth Day deals included discounts at Goodwill, free tote bags from Whole Foods and samples of sustainable products from Target. National Pretzel Day occurs on April 26 each year; national chains such as Auntie Anne’s and Wetzel’s Pretzels give away free pretzels to celebrate the occasion. In 2018, other participants included Godiva, which gave away free chocolate pretzels with an online order; Sonic, which discounted their soft pretzel twists to $1.99; and others. In 2019, National Pretzel Day will fall on a Friday. Krispy Kreme’s interestingly named “Superhero Day” is celebrated on April 28. Each year, the donut chain hosts the holiday and gives away a free dozen donuts with the purchase of a dozen. In 2019, you’ll be able to take advantage of this deal on a Friday. Haagen-Dazs hosts their free cone day annually in early May (in 2018, it was hosted on May 8) where you can get a free ice cream cone from the shop, no purchase necessary. In recent years, Haagen-Dazs has dedicated the day to the diminishing population of honey bees. Free Comic Book Day is held annually on the first Saturday in May, which in 2019 falls on Saturday, May 4. During the day, participating comic book stores around the country offer a free selection of comic books. You can find out more about where to get the comics on the official Free Comic Book Day website. On the Friday before Mother’s Day, which falls on May 10 in 2019, public gardens around the country offer free admission. You can learn more about participating locations on the National Public Gardens website. National Chocolate Chip Cookie Day is celebrated every May 15 — and shouldn’t be confused with December’s National Cookie Day. It’s also the perfect day to treat yourself. Last year, 7–11 and Potbelly gave away free chocolate chip cookies with enrollment to their mailing list, while BJ’s and Nestle offered discounts. National Hamburger Day is held on May 28 each year; in 2019, this falls on a Tuesday. Deals vary by year, but in 2018 participating restaurants included BurgerFi, Burger King, Carl’s Jr., Chili’s, Jack in the Box, McDonald’s, Smashburger, Sonic, Steak ‘n Shake and Wendy’s, among others. National Donut Day is held annually on the first Friday of June, which falls on June 7 in 2019. Participating chains in 2018 included Dunkin Donuts, Cumberland Farms, Krispy Kreme, Papa John’s and others. Deals range from free donuts to discounted deals. National Iced Tea Day falls on June 10 each year, which is a Monday in 2019. Iced tea day freebies for 2018 included $1 Long Island Iced Teas from Applebee’s, 20% off Mighty Leaf and offers from the likes of Starbucks and Teavana. Honestly, I think this a perfectly timed National Food Day. The third Friday of June is National Flip Flop Day, during which Tropical Smoothie Cafe hands out free smoothies to customers wearing the holiday’s namesake footwear. I look forward to these National Food Days in particular every year. Chick-fil-A’s Cow Appreciation Day falls each year in early- to mid-July (in 2018, it was July 10). On this day, customers who show up to the fast-food chain wearing something “cow-like” receive a free entrée. On National Slurpee Day, also known as “7/11 Day,” convenience store chain 7-Eleven offers free slurpees from 11 a.m. to 7 p.m. The third Wednesday in July, which in 2019 falls on July 17, is National Hot Dog Day, which features freebies and discounted hot dogs from restaurants and convenience store chains. Participating locations in 2018 included 7-Eleven, Dog Haus, Sonic and others. 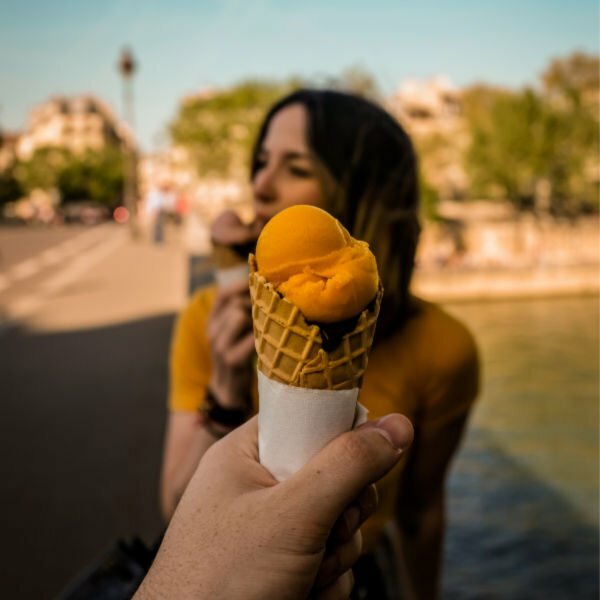 On the third Sunday of July (July 21 in 2019), restaurants and ice cream chains offer special deals, freebies and giveaways. Participating locations in 2018 included Arby’s, Baskin Robbins, Carvel, Cold Stone Creamery, Dairy Queen, Dippin’ Dots, Halo Top, Marble Slab and more. National Chicken Wing Day is celebrated on July 29 every year. In 2018, restaurants giving away free or discounted wings included Buffalo Wild Wings, Hooters, Pluckers, Wingstop and Wing Zone, among others. A&W hosts National Root Beer Float Day every August 6. The chain gives away a small root beer float to all their customers from 2 p.m. to 8 p.m., no purchase necessary. All donations go to the Disabled American Veterans. On the second Saturday in August, bowling alleys around the country offer specials including free bowling games and food and drink deals. In 2019, National Bowling Day falls on August 10. A true treat yourself icon! National Waffle Day is held annually on August 24 to celebrate the day in 1869 that American inventor Cornelius Swartwout was awarded a U.S. patent for the waffle iron. Participating locations vary; for example, in 2018, Waffle House didn’t participate, but White Castle did, giving patrons a free Belgian Waffle Slider. Cold Stone Creamery has also given away free waffle cones and bowls in the past. Each year on August 25, the National Park Service celebrates its official birthday (August 25, 1916) with free admission. National Cheeseburger Day is celebrated annually on September 18, which falls on a Wednesday in 2019. The day features everything from free cheeseburgers to $1 deals and more; participants last year included BurgerFi, Burger King, IHOP, Red Robin, Ruby Tuesday, Sonic, Wendy’s, White Castle and more. International Talk Like a Pirate Day has been hosted on September 19 every year since 2002. While the “international holiday” was originally started as an inside joke by friends, Long John Silver’s has taken to honoring the holiday with different promotions; in 2018, the chain gave out free deep-fried Twinkies. National Public Lands Day is held each year on a Saturday in late September; in 2019, it’s slated to fall on September 28. On this day, you can gain free admission to national parks and forests, as well as state parks. National Coffee Day is held annually on September 29, which is a Sunday in 2019. The freebie day includes free and discounted coffee deals; Cinnabon, Dunkin Donuts, Krispy Kreme, McDonald’s, Starbucks and Wawa were all among participating chains in 2018. Museum Day is hosted each year by the Smithsonian Magazine in late September. Participating museums and other institutions around the country provide free entry to patrons with an official “Museum Day ticket,” which are available for download on the Smithsonian Magazine website. Moe’s Free Queso Day is held in late September each year (in 2018, it was held on September 20). On this day, the restaurant gives away free cups of their queso and holds a “Free Queso For Life” sweepstakes. National Taco Day falls on October 4, which is a Friday in 2019. The day features a ton of discounted taco deals from retailers like Baja Fresh, Chuy’s, Del Taco, El Pollo Loco, Moe’s Southwest Grill, Taco Cabana and more. Possibly the best day on this list of National Food Days! October 14 is National Dessert Day, which offers discounted and free desserts from restaurants across the country. In 2018, chains like BJ’s, Cold Stone Creamery, Corner Bakery, Dairy Queen and Wendy’s dished out deals such as BOGO sundaes and free pizookies. In 2019, this deal day will fall on a Monday. National Sandwich Day is held each November 3, which is a Sunday in 2019. In 2018, meal deals were offered from restaurants including Firehouse Subs, Jersey Mike’s Subs, Potbelly Sandwich Shop, Quiznos, Schlotzsky’s Deli, Smashburger, Subway, Which Which and more. National Nachos Day is celebrated annually on November 6, a Wednesday in 2019. Last year, restaurants including Moe’s Southwest Grill, Ruby Tuesday, Salsarita’s, Taco John’s and even Olive Garden featured specials to celebrate the day. November 16 is National Fast Food Day, which features free and discounted grub from quick stop restaurants. In 2018, specials included discounted meals from Burger King, a free burger from Jack in the Box, limited time offers from McDonald’s, BOGO coupons from Wendy’s and more. In 2019, November 16 is a Saturday. Each December 4 is National Cookie Day, which typically features free treats from retailers such as Insomnia Cookies, Great American Cookies, Mrs. Fields and Toll House. Free Shipping Day is held annually in mid-December. During this day, participating websites offer free shipping and delivery by Christmas Eve. You can see the small and large retailers taking part in this day on the Free Shipping Day website. Ready to make 2019 the year of freebies? Print out our calendar of 2019 freebie days. Your wallet, and your stomach, will thank you! Also Read: How to Get Free Food from Restaurants – a List for Hungry People! This article was shared with me by Wikibuy, I loved how useful it was and knew you all would find value you in it, too! Article reposted with permission from Wikibuy. Which National Food Holidays are you going to treat yourself on?